It is winter time, the snow is falling and the evergreens are covered with sheets of snow. What could be a more beautiful image? What could such a picturesque seen need? 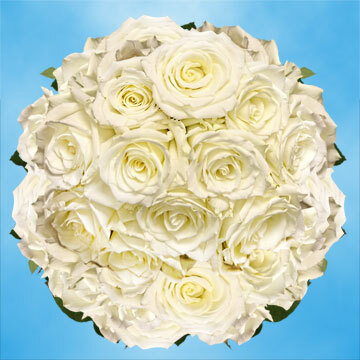 The Escimo Rose, a White Wedding Rose, is ideal for that snow back dropped white wedding. 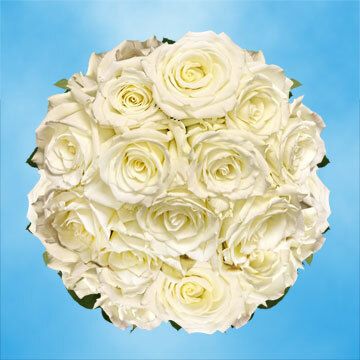 As the centerpiece of a White wedding you are sure to let everyone know the purity of you and your chosen one's eternal love. 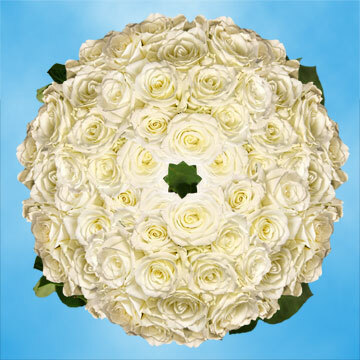 As a corsage it has an unprecedented beauty due to its crisp clean white appearance. 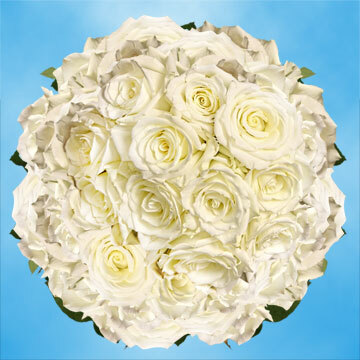 When added to a floral arrangement, it is sure to cause heads to turn and install images of astonishing snow covered scenes. Free shipping, only available in the continental USA, is provided by FedEx. Our products are held to demanding standards to assure that each and every floret comes out as beautiful as nature intended. Thanks to our technologically advanced greenhouses, we can provide three-hundred and sixty-five day service and availability. 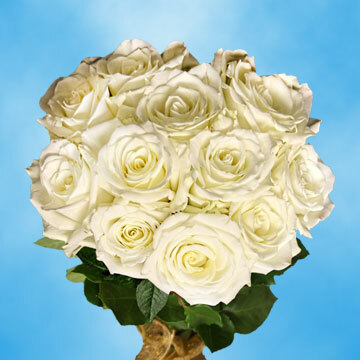 When your blossoms arrive at your doorstep you can be rest assured that they will be fresh, we guarantee it. 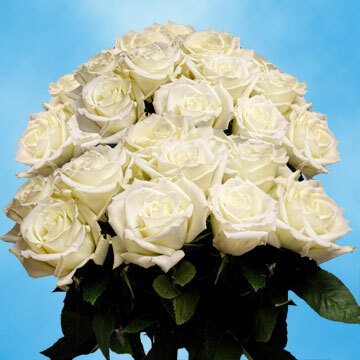 Please remember, that your White Wedding Rose order will come from our greenhouses to your doorstep in a closed bud state, please allow up to three days for them to bloom.